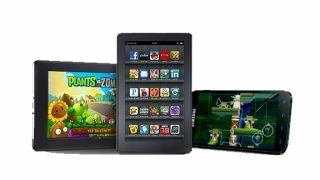 Amazon has begun inviting devs to submit apps for international distribution later this year. It doesn't take a genius to work out that this probably means the Amazon Appstore is breaking free of its US-only bounds and heading to the rest of the world. The first countries to be getting this 'international app distribution' are the United Kingdom, Germany, France, Italy and Spain, with further expansion planned for the near future. The Amazon App Store offers handy features like 1-click purchasing and try before you buy (known as Test Drive) of Android apps, things that Amazon reckons have contributed to its mega success in the US. "Some developers have seen revenue double since the launch of In-App Purchasing," gushed Jim Adkins, VP of the Amazon Appstore. "We're excited to open the door to even more opportunity by expanding app sales outside the U.S. We see tremendous potential for current developers in our distribution program to grow with the international expansion." Developers can now submit apps to Amazon for approval by visiting the Amazon Mobile App Distribution Portal. News of the international plans jives nicely with a rumour that broke earlier this month, which predicted a European launch for the app portal this summer. Obviously we're excited to speculate that this means the Kindle Fire is heading East too, although we wouldn't be surprised if Amazon decides to make the Kindle Fire 2 its European tablet debut rather than the original.